Tradition short-sleeved shirt MARIO in beige with blue-white cheques. 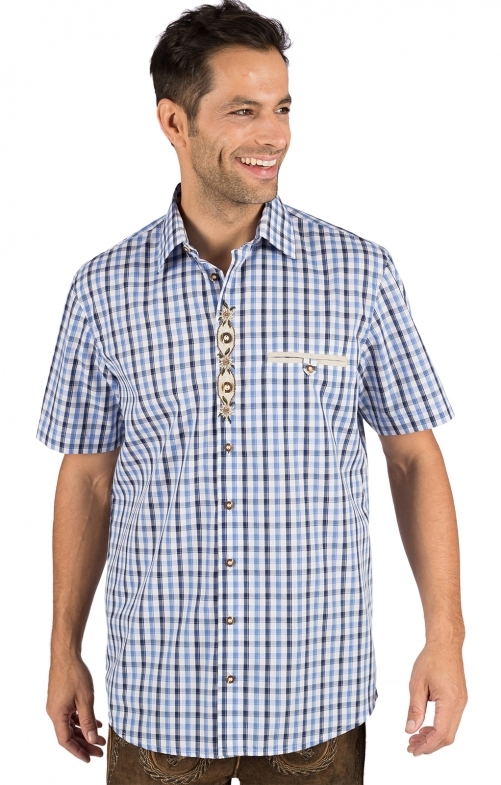 The men's shirt by OS-Trachten convinces with traditional details. The soft cotton shirt with custom cut button placket adorns with three gentian blossoms. The authentic horn buttons complete the style. Kent collar and decorated breast pocket have a casual and party look. It's a comfortable shirt for home-conscious occasions.